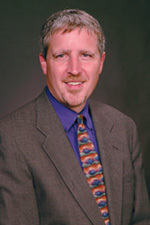 David H. Ringstrom, CPA, is president and founder of Accounting Advisors, Inc. He started the firm in 1991 and provides consulting and training services nationwide. He’s a nationally recognized Microsoft Excel expert and regularly teaches live webinars on spreadsheets and other topics. David has written freelance articles on Microsoft Excel and accounting software for over 15 years and has served as the technical editor for over 20 books about accounting software.